As more of the Baby Boomer generation moves toward retirement, carefully honed skill sets become an increasingly rare commodity for employers. Fresh, new job candidates enter the workforce every day, but what they have in enthusiasm, they lack in experience. There’s a skills gap that’s widening as more people retire, but a mentoring program might help. Employers could connect valuable, experienced workers who are nearing retirement with the next generation of talent. As they pass on knowledge, young workers can transition into the workforce more smoothly. In return, employers get a better workforce and a whole new talent strategy. What’s in it for the baby boomer generation? Retirement now bears little resemblance to the outdated notion of sitting in a rocking chair or puttering around in a flower garden. People nearing retirement are some of the most productive in the workforce and many of them have no intention of retiring just because they’ve reached a certain age. According to AARP, more people of traditional retirement age, even past 80 years old, are still working and have no intention of quitting anytime soon. Why is this happening? There are lots of theories. Stage2Planning says Baby Boomers haven’t saved enough money to feel comfortable yet with the idea of retirement. For older workers, staying in the workforce just feels like the right thing to do, even if they don’t work as much as before. They’re ideal candidates for mentors, especially with the newer trend of phased retirement. There’s no discrete definition, says AARP, but rather an informal and gradual reduction in work hours and duties instead of a full stop on a certain date. Mentoring could fit into phased retirement perfectly. What’s in it for younger workers? 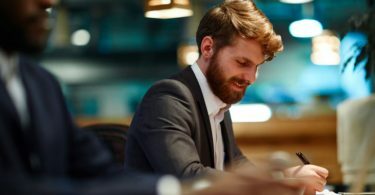 Writing for Forbes, contributor Kaytie Zimmerman says, “There’s a collective shout to employers to develop them, mentor them, and give them opportunities to lead.” A 2016 Deloitte survey of Millennial workers shows that this younger generation wants to be mentored feels that they don’t have enough opportunities to take advantage of it. More than any generation in modern history, Millennial workers want to matter. They want a purpose on the job, but with entry-level positions, responsibility and leadership opportunities are hard to come by. With mentoring, this generation can get up to speed more quickly, making them better prepared for more responsibility and more likely to stick around for the long term. How likely? According to Deloitte, 68 percent of young workers who have a mentor are still with the company after five years. Without a mentor, that number drops to 32 percent. Like almost anything else, Zimmerman says, Millennials don’t inherently embrace a traditional mentoring style. That’s why some companies have developed more than one. As older employees work with younger people to help develop skills for more responsibility, younger workers could mentor older workers on technology trends. It becomes an interconnected, knowledge-sharing environment where anyone with valuable knowledge has the opportunity to share it with the people who don’t. A mentoring program helps encourage inclusion and diversity in the workplace, too. How might employers be the biggest winners of all? For employers, a mentoring program, no matter how informal, can help solve several pain points. Sourcing for hard-to-fill positions is more costly and time-consuming now than it’s been in years with unemployment increasingly lower. It’s a challenge to match job to candidate, but what if the best candidates–people you know are ready for the rigors of more responsibility–are already in-house? A mentoring program can develop the younger talent you’ve got to move into those roles as jobs come available. That brings the added benefit of giving Millennials the sense of purpose they need to stick around. Mentoring also keeps your current key players in place longer instead of heading off into retirement. With fewer Baby Boomers looking at retirement with a wistful eye, you might have more than a few takers on an offer to develop and run a mentoring program. With employees for key roles being developed from within, sourcing can focus more on easier-to-fill, entry-level positions. Talent matters at every level, even at the beginning. The better you source fresh talent the more talented people you’ll have for mentoring later. This approach also frees you to think a little more radically in sourcing people who might not have a degree but who have the right aptitudes (and attitude) and are motivated to learn. Expertise comes full-circle with a mentoring program. You don’t have to watch skills and experience fly out the door along with a retiring generation. Before there’s a shortage that’s painful to resolve, let older workers and younger workers pair up to share knowledge.